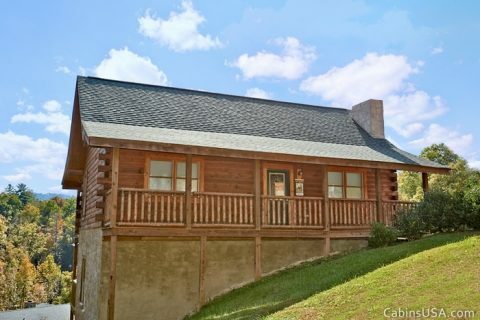 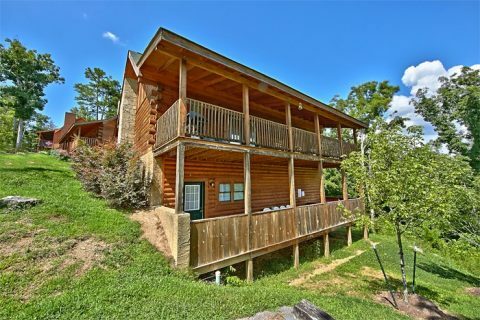 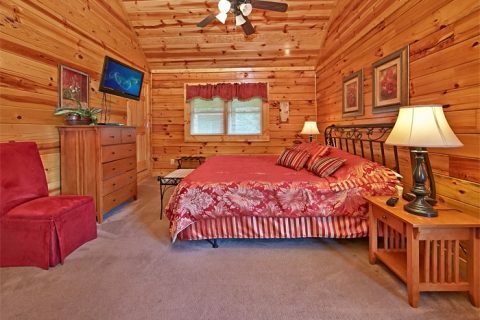 Mountain Park Pigeon Forge Cabin - "Autumn Ridge"
Welcome to Mountain Park in Pigeon Forge! 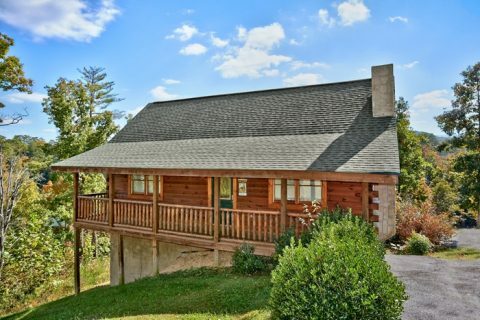 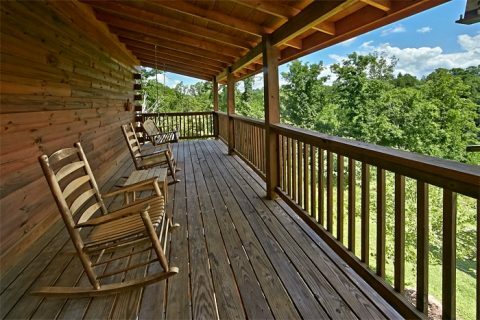 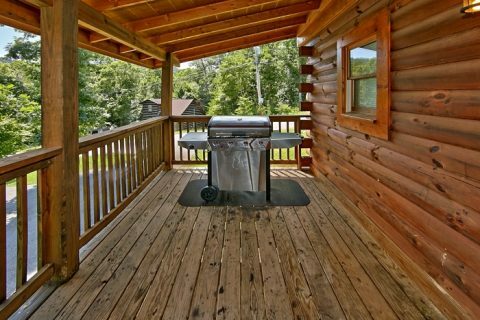 "Autumn Ridge," a 2-bedroom cabin in Pigeon Forge, TN, provides visitors with resort swimming pool access, WiFi Internet, and more! 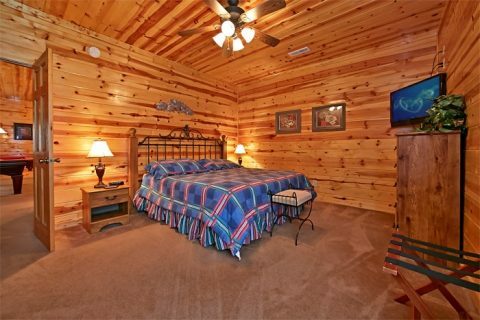 Guests can enjoy their Smoky Mountain cabin escape as well as the ease of access to dozens of area attractions, dinner shows, annual events and adventures that Mountain Park Resort in Pigeon Forge affords. 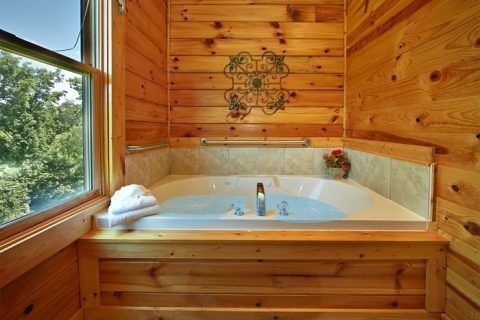 "Autumn Ridge" features a master suite with king-size bed and a 2-person jacuzzi – perfect for a romantic evening in the mountains. 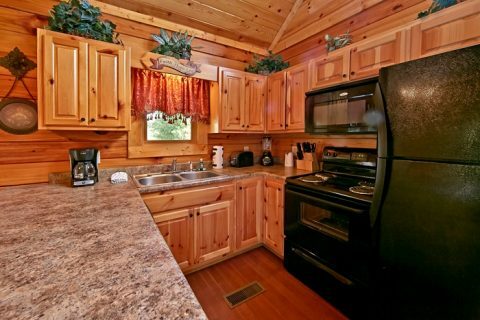 This cabin sleeps up to 8 guests with the additional king bedroom and 2 queen sleeper sofas. 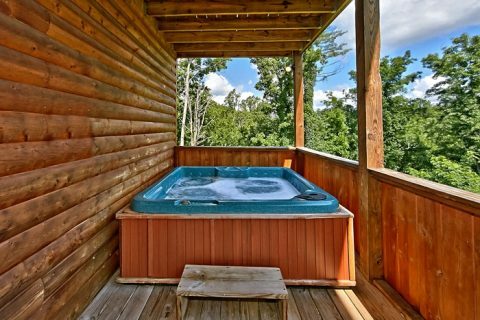 This cabin also offers plenty of options for leisure. 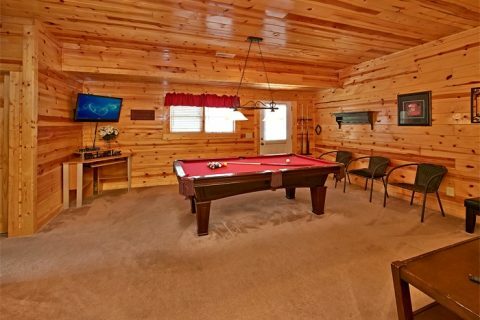 Children can enjoy games of pool, while you enjoy relaxation in the hot tub. 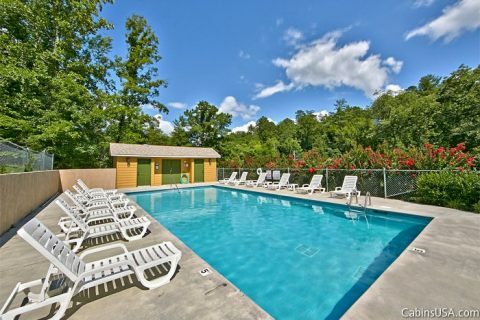 Read a book alongside Mountain Park Resort's outdoor swimming pool while you work on your tan. 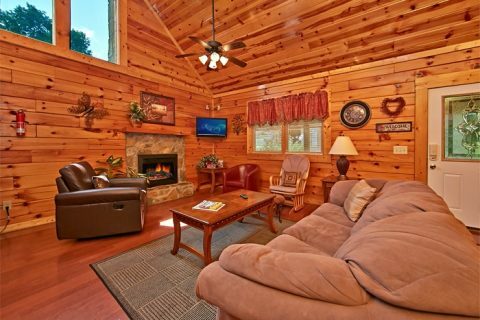 In the winter months, enjoy the added warmth of the cabin's fireplace as everyone gathers together for Yuletide merriment. 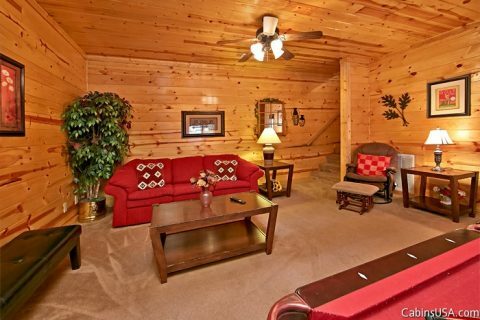 Mountain Park Resort and "Autumn Ridge" have a lot to offer guests wishing to remain close to non-stop Smoky Mountain adventure. 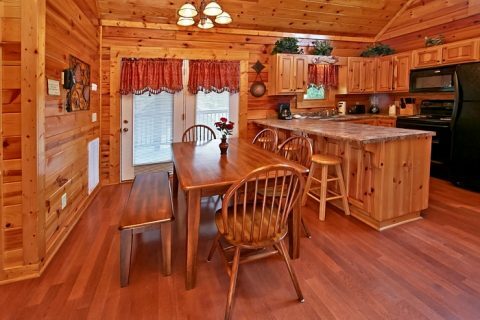 Reserve your 2-bedroom in cabin Pigeon Forge, TN, and take the first step towards a vacation filled with family fun!